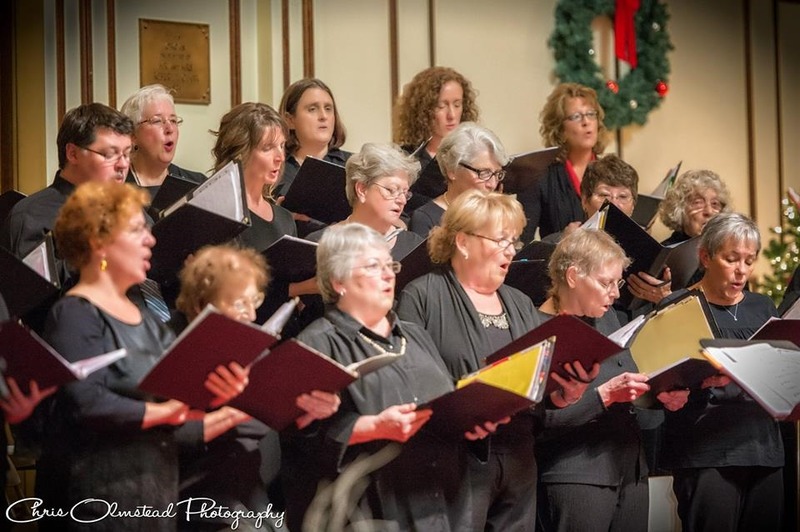 New Renaissance Singers (NRS) is a non-audition community choir in the Bangor, Maine area. Our members come from a wide variety of backgrounds, musical experience and professions. They all share a love of music and singing. You do not need any specific musical training to join NRS. Many of our members sang during their high school years and decades later were inspired to join the choir, finding it fairly easy to remember the basics of reading music. Our director, Molly Webster, works with music reading and singing fundamentals throughout the rehearsal season, and even members who have been singing with the group for years will leave a rehearsal having learned a bit more about singing. New Renaissance Singers is a community choir and we are not affiliated with any religious organization. Our repertoire is incredibly varied and includes a mixture of sacred/secular choral works from composers such as Handel and Mozart to more contemporary works by composers like John Rutter and Moses Hogan and everything in between. We have two concert/rehearsal seasons. Our Fall/Winter season begins in early September, with our main concert in early to mid December. Our Spring season begins in January and runs until April or May, with our main concert taking place in May. We also perform several concerts at area senior homes and other community events. We rehearse on Tuesday evenings from 6:30 to 8:30 at the First Congregational Church of Brewer, located at 35 Church Street in Brewer. As with anything, it does take money to keep our choir running smoothly, and to enable us to continue to positively impact our community. Therefore, we have set reasonable membership dues that help us purchase music, provide rehearsal and concert venues, and employ our amazing accompanist and director. We have also established a scholarship fund which has allowed us to provide a scholarship to the Bangor Area Children’s’ Choir and to the Maine Summer Youth Music Program. Due amounts are $150 per year. Payments can be made in full, or can be broken into three separate payments of $50, usually due in September, November, and January. Members only singing for one of the two concert seasons are only asked to pay $75. Members can always speak to the Treasurer or Director if they have any trouble with the financial aspect. If you have any more questions, please contact us at nrsingers@gmail.com.